I firmly believe there isn’t a sweeter gift than a personalised one – it reflects the extra mile you went to find something especially for the recipient and who doesn’t love seeing their name emblazoned on their belongings? We’ve found a store with a double dose of awesomenes. The gifts are not only personalised, but many are handmade! 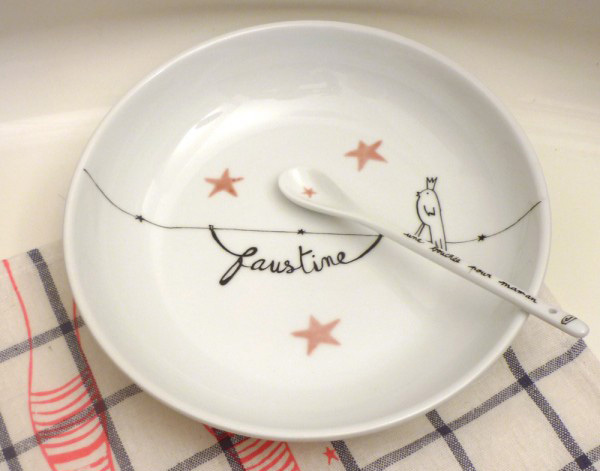 French store Happy Zoe plays host to a plethora of unique personalised gifts for children, including fun name bunting, beautiful Liberty print Baby Nests, and a stunning collection of personalised crockery with plates, mugs and egg cups all available for separate sale. 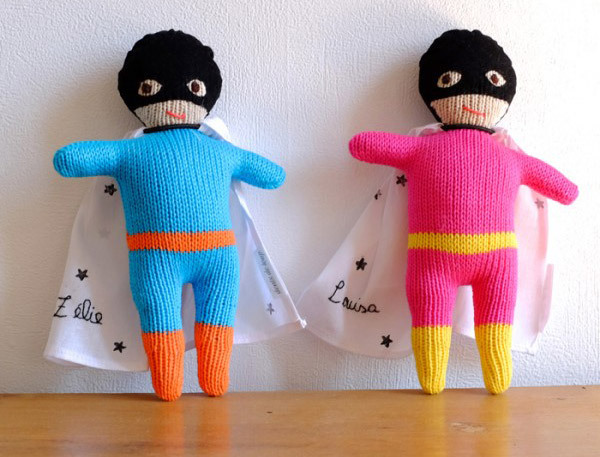 At Babyology HQ, our hearts belong to the cotton knit toy Superhero (priced €39) in all his or her masked glory. Available individually or in a crime fighting Superhero duo (priced €75), you can choose the suit colour and the name you’d like to have daintily embroidered on the cape. To see all that’s available in the personalised gift range, head on over to Happy Zoe.